Most companies claim to be customer focused. In fact they can prove it to you. They can show slides and mission statements and booklets that all illustrate their commitment to the customer. Except they don’t always do it terribly well. 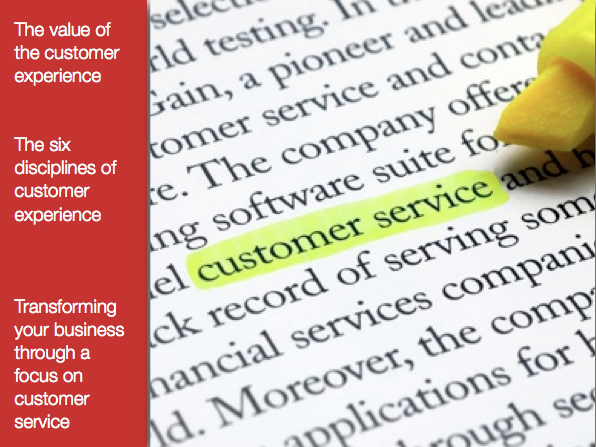 This Customer Focus workshop is all about taking customer service beyond the rhetoric. It lifts the lid on customer service to see what needs to happen behind the smiles of the front line staff. For further information on this Customer Focus workshop please downloadthe new Senior Leader Development brochure or get in touch.